Robomaid is a dream come true. 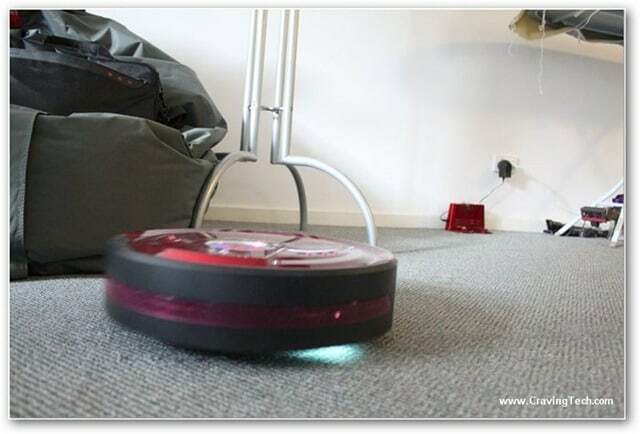 It automatically vacuums your house whenever you want it to and it will automatically go back to the docking station to recharge. The rotating brush underneath the unit picks up dirt and dust like there’s no tomorrow. Most importantly, it’s also child and pet friendly! Ah…the chore of vacuuming our house. It can be frustrating sometimes, especially when you are always so busy in life that you barely have the time to do it (although this is argueable, because you CAN make the time if you want). If you fall into this category, you’ll definitely appreciate Robomaid. 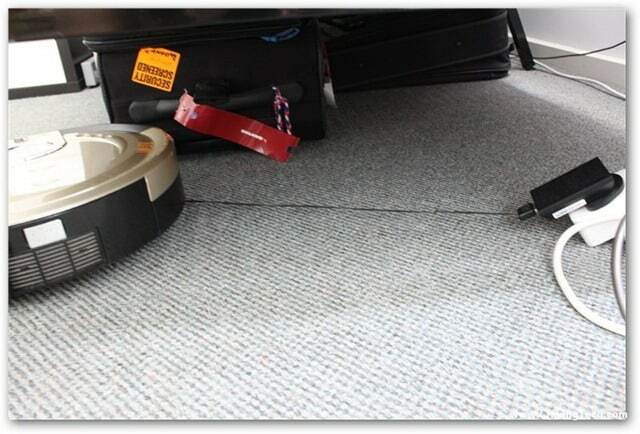 Robomaid is designed to keep your carpet and floor clean of dust and dirt, without doing a single thing. That’s right, folks. 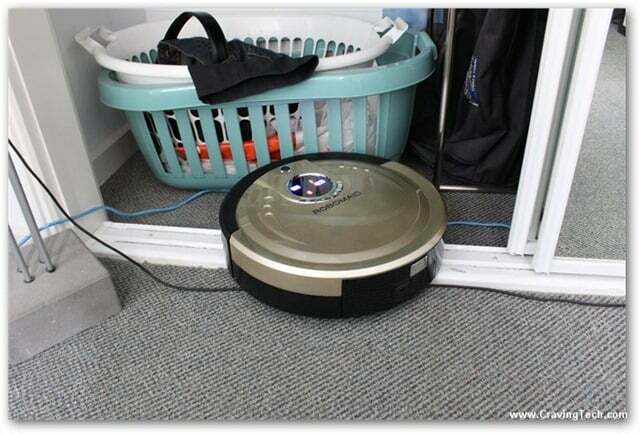 Robomaid is a vacuum cleaning bot that will automatically roam around the house, vacuuming while you go to work or even when you are asleep on your bed! 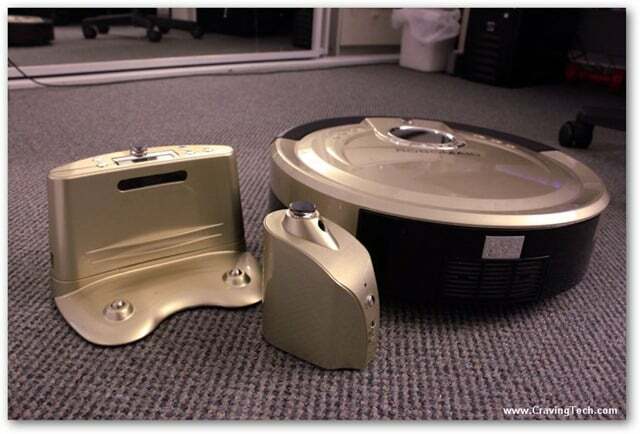 Robomaid is round shaped, like a big dish, available in 2 different colors at the time this review is written: Light Gold and Red. 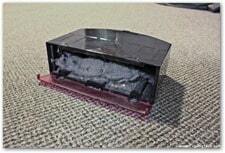 Underneath, a long brush attached (detachable) to brush the dust and dirt while it’s moving around the house. There is also an optional side brush (why not?) that can be attached, quite handy to clean the wall corners. The packaging also comes with lots of goodies; the most important ones being the remote control (to control Robomaid from afar), a Virtual Wall (to disallow Robomaid to go to certain areas), and the docking station (responsible for scheduling and also the final resting place of Robomaid while it’s being recharged). Firstly, you set how Robomaid wants to run. For example, you can set it to keep on vacuuming until it runs out of battery, among a few other modes. You set this on the Robomaid unit itself, through the remote, or schedule it on the docking station. 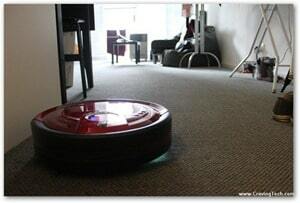 Once set, Robomaid then roams around the house, vacuuming. If you schedule to run it from the docking station (based on day of the week and the time), it will first move backwards from the docking station, turn, and then do the cleaning. When the battery runs out, or rather, when the battery gets low, Robomaid will go back to the docking station by itself to recharge! It does this by trying to find the docking station and then dock onto it. So it’s best to keep the path clear to the station (at least a few metres in front of it). I’m very impressed with Robomaid. This is the first time I’ve ever tried a vacuum cleaning bot. At first, I was skeptical because I don’t think it would have a good suction power compared to the generic vacuum cleaners out there. I was actually very surprised when I look at how much dirt, dust, and hairs it collected after one session! It was quite scary in a way as I couldn’t believe how dirty my carpet is! 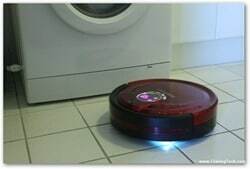 Even a day after I vacuumed the house, Robomaid somehow could still collect dust and dirt, although not as many as if you haven’t been regularly cleaning your house! Talking about the bin compartment, it is attached nicely at the back of the Robomaid. You take it out by pressing the Eject button (real hard) at the back of Robomaid. One thing to note, even though I’ve kept on mentioning carpets, Robomaid also works very well on floors and boards. It sped through my kitchen and bathroom floor flawlessly. 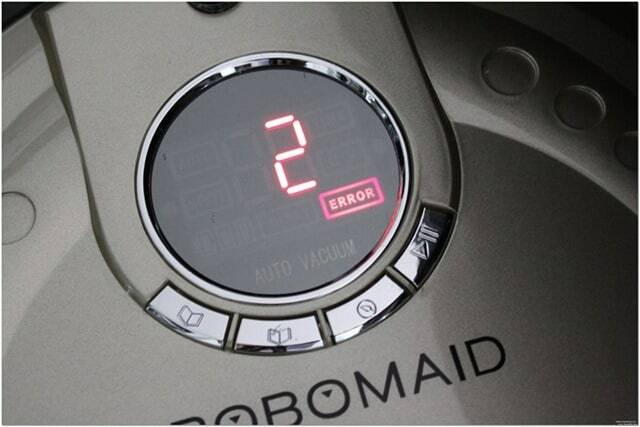 Robomaid is perfect to clean your bathroom floor that is normally filled with hairs accumulated every day. If you have a pet, the amount of hairs on the floor (and your carpet) will also grow substantially. 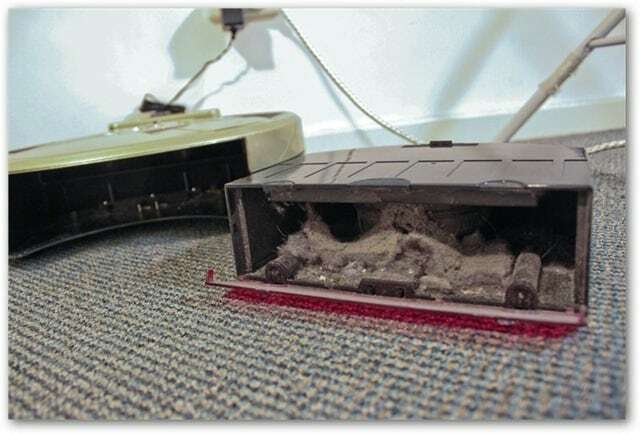 Unless you vacuum every day, it can get quite hazardous for your kids’ health (and you). Set Robomaid to run daily and create a healthier environment for your family! Just as no software is free of bugs/problems, automation comes at a price. Since Robomaid moves using a series of patterns, I found that not every single area of my house is covered. It goes well to all the rooms in my 2 bedroom apartment (and for some reason it likes my kitchen very much), but I’d have to say it won’t cover every single spot on your house in one go. However, since you can schedule Robomaid to run every day when you are at work or whenever, these spots will of course finally picked up by Robomaid after the second or third try. Because of its size, Robomaid can’t really cover hard to reach spots such as the corner of a wall surrounded by furniture or basically places where Robomaid can’t fit in. 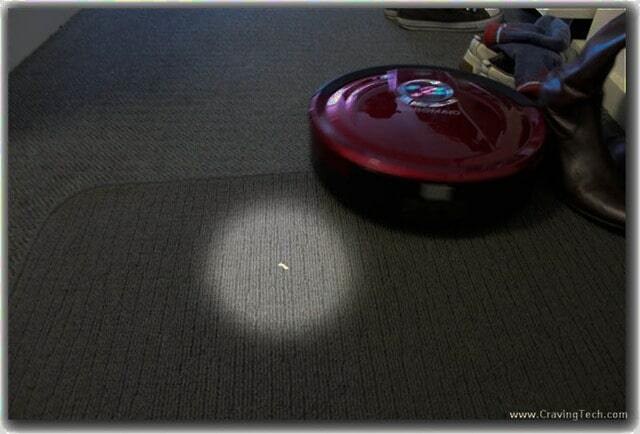 I’d advise you to have a handheld vacuum cleaner as a secondary to complement Robomaid. 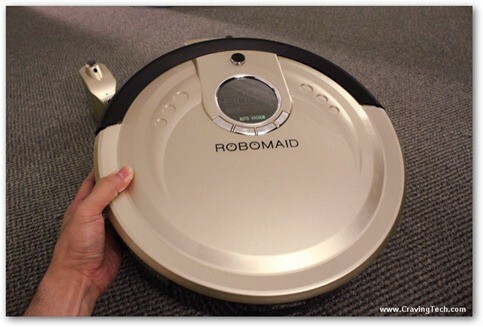 So, make sure you tidy up your house enough before you run Robomaid. 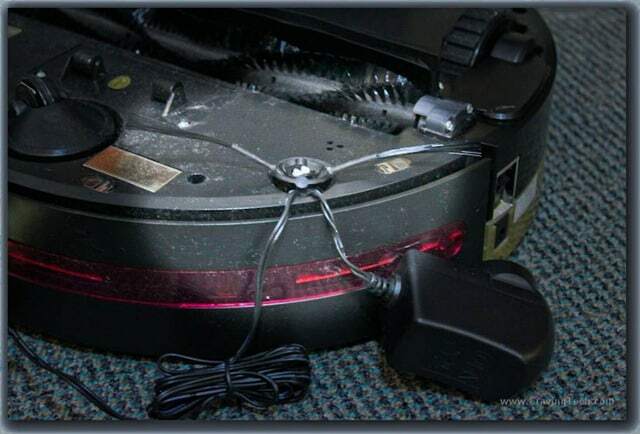 Thankfully, Robomaid won’t get entangled on network cables as it’s normal to have a few of them lying on the floors between rooms (if you are not on a wireless solution). These drawbacks in my opinion are nothing compared to how useful Robomaid is. Besides, these are good excuses to tidy up your house, aren’t these not? Having a Robomaid, the robot vacuum cleaner, to vacuum your house is like a dream come true. It’s probably what everybody has dreamed about in the past – to be able to make your house clean without doing anything. The technology is here now and Robomaid doesn’t disappoint. With the scheduling feature enabled, you can “set it and forget it”. 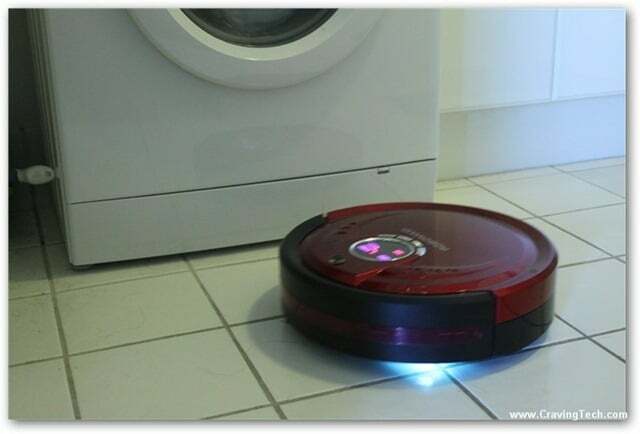 Robomaid automatically runs even if you are not at home, vacuuming your house, and it will then go back by itself to the docking station to recharge. There’s nothing better than having to come home to take a rest, knowing that Robomaid has taken the rest. Despite of some minor drawbacks and the fact that you need an extra handheld vacuum cleaner to complement it, Robomaid has taken vacuum cleaning to the next level. Note however, that I’ve been having multiple problems with Robomaid during this review process. If you notice the photos, you’ll see both the Red and Light Gold units. This is because my Light Gold Robomaid was replaced by the Red due to some issues. After some investigations with the Robomaid team however, the problems occurred because of signal interference issues in my apartment (Robomaid failed to go back to the dock, always ran in reverse after I turned the scheduling on, and the remote didn’t seem to work). Again, according to the support team, this happens only in my house, most likely caused by so many wireless gadgets (Wi-Fi and Bluetooth) that have been accumulated for reviews all these months. Even with the missing scheduling and auto-dock features, Robomaid is still the best thing to have in my house. There’s a 30-day money back guarantee if you worry that these issues will happen to you, too. But since I’m the only one who seems to be having these issues, I’m pretty sure you will be satisfied with your Robomaid purchase. NOTE: Review unit provided by Robomaid. Photos taken by Canon EOS 500D. Next articleCreate music online for free!